We are pleased to announce that National Law University, Delhi will be hosting the fourth edition of the Global Congress on Intellectual Property and the Public Interest in December 2015. 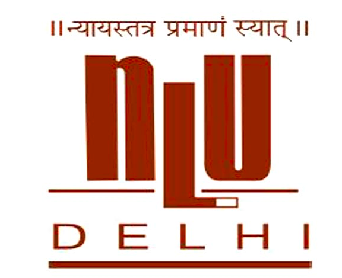 National Law University, Delhi ("NLU-D") is a premier law school located in Dwarka, Delhi. NLU-D aspires to be a University producing stellar research and has already undertaken steps in that direction. The excellent infrastructure offered to its students is in sync with progress on the academic front. The University regularly plays host to international and national events. The Global Congress on Intellectual Property and the Public Interest ("Global Congress") was instituted in 2011 at Washington D.C. Since its inception, three editions of the Global Congress have engaged national and international governmental entities, the private sector, civil society, and academia in providing perspectives and future scenarios for intellectual property, innovation and development. We will soon announce the exact dates for the Global Congress to be hosted in December 2015. Please share with us funding proposals for conferences/events and details of potential funders, or help out with funding, if possible. Anubha is a Senior Programme Manager at the CIS. She has contributed to the Pervasive Technologies Project, works on issues involving intellectual property law and openness, and co-leads the Regulatory Practices Lab. Anubha can be reached at anubha[at]cis-india[dot]org.